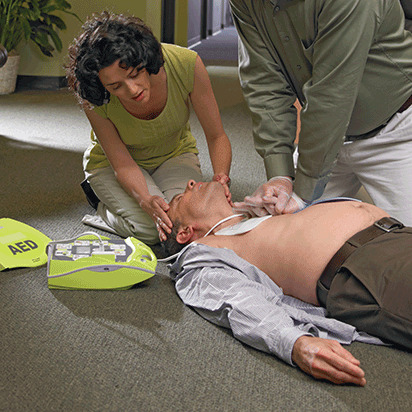 BLS recertification courses allow you to update your skills, refresh your memory and extend your certification by two years. Designed for those whose credentials are still valid (or within 30 days of expiring), our abbreviated BLS renewal courses make it possible to avoid a lapse in certification so you can stay certified and stay on the job. To find information on the BLS review courses available in your area, browse our find a class page. Certification Made Simple. Fast. Easy. Digital. With BLS recertification classes online and in person, the Red Cross makes maintaining your certification fast, simple and easy. And with Red Cross Digital Certificates you'll get anytime, anywhere access to your certificates; plus the ability to print, share, and download them wherever and whenever you like. Digital certificates can be viewed, printed or shared online and can be accessed anytime through your Red Cross Account. Each certificate includes a unique ID and a QR code which meets employment requirements and allows employers to easily confirm your certificate is valid. Class participants and employers can visit redcross.org/confirm and enter the ID found on the digital certificate (or scan the QR code with a standard QR reader using a smart device) to access a copy of the valid certificate with student training information. Click here for instructions on accessing your certificate.